You know the feeling: You launch a new campaign, and you’re stoked about this one! But a few days later, it’s just not doing what it should (i.e. bringing in leads and converting to sales!). Should you shut it down? Change the headline? The image? Should you re-work your entire offer – because people just don’t want what you have, right?! WRONG. You need to know this stuff, whether or not you’re working with an agency, because just a little know-how can save you all kinds of time and money! Listen to this (quick) episode for all the details. [9:57] Maybe you just need to refresh a failing campaign? Start here. In today’s episode of the podcast, I’m going to talk to you guys about what to do if your ad or your funnel is not converting. We’re going to definitely focus a little bit more on the ads piece of this. I actually pulled up the exact resource that we have inside of our company, where the ads managers actually go through this process. If an ad is not converting, if a campaign’s not converting, here is what we do. It’s really important to note here … I mean, if you’ve been listening to the podcast this far, you probably know and recognize it’s not about, “Oh, it’s not converting, shut it off;” it’s, “What do we do when it’s not converting, and how do we handle that?” That’s where the success comes from. That’s what that’s really our philosophy is. It’s not, “If I will be successful,” it’s, “When will I be successful with this campaign or with this model,” or whatever it is. I literally pulled apart a checklist. I’m going to walk you guys through and let you in on the [inaudible 00:00:54] of what we do if an ad or a funnel is not converting. The first step is, if you’re in Ads Manager, you see [00:01:00] zero leads or very few leads, and it looks like it’s not converting, we first say, “Are you 100% the pixels are correct and the funnel is working?” This sounds silly, but oftentimes, we’re like, “Oh no, that’s not converting,” and then we go in and we test it and something happened with the pixel. It dropped off on ClickFunnels, or there’s an actual error in the funnel. So one of our things is before we turn on an ad, we actually opt into the ad as if we were a lead from clicking from the ad to the landing page, opting in, and checking everything from the actual funnel flow itself to the pixels, because [00:01:30] there’s oftentimes, this is an error. If your ad is not getting enough clicks and we know the ad is the issue, the first step is to dig into the copy, the headlines. Is [00:02:30] it digging in deep enough emotionally to connect with someone and get them to stop scrolling and actually care about what you’re offering? Number two, does the image stand out? Does the headline on the image catch your attention? Is the design high end, or does it look like it wasn’t designed high end? I mean, for us, our designer does this, so they are all high-end designs. But really look at your image. Does it pop? Does it stand out? Do the colors stand out? Does the headline capture your attention? Chances are, the image [00:03:00] is the first thing someone’s going to pay attention to, especially if it’s done correctly, and it’ll be bright enough and eye capturing enough, so we can look at the image and the copy of the ad and that’s where we can make some tweaks. Now, if you’ve done this and you’ve tried lookalike audiences galore and interest audiences galore to your creative versions and you really tried it, chances are, you haven’t because that’s the thing most people don’t do enough of, is enough testing, and it’s still not converting. So if you’ve really done, I don’t know, 25 or more audiences to a few different creative versions and it’s still not converting, it’s most likely the creative that needs to be tweaked, and we could go back, [00:04:30] put out new creative, and then put it to those top audiences. We basically keep on doing that until we get to a point where it’s how we want it to. So for a lot of times, it’s like our clients are offering webinars, so we say, “What’s the promise? What’s the guarantee for me to show up live to this webinar, even sign up for this webinar? What I’m going to get going to get out of it,” and again, putting yourself in the shoes of the person [00:06:00] scrolling Facebook, getting this offer thrown at them, because even a download, even a webinar is a micro-commitment that somebody has to make, a webinar being a bigger one, more of a commitment because it’s like a time that you’re asking them to sign up and watch a training. What are they going to get out of it? People value their time more than almost anything else, so what are they going to get out of this? Have we properly positioned it right? Have we guaranteed that we will solve a problem that we know this person has? When [00:06:30] we launch a new funnel, we first look at the audience and the creative and we do extensive testing with both different … until it works. If it works, great. We’ve found our thing, we can scale it. If it still doesn’t work after extensive testing … And when I say extensive testing, again, I need like a hundred ad sets, like a lot of audiences, a lot of creative versions, everything you can think of put out there, and if you’ve exhausted that, then you really do need to look at the offer, because sometimes that is the problem, and shifting the actual positioning [00:07:00] of the webinar or of the PDF or the promise of what you’re going to get can solve the problem. So that’s the three main things we look at when something doesn’t convert. 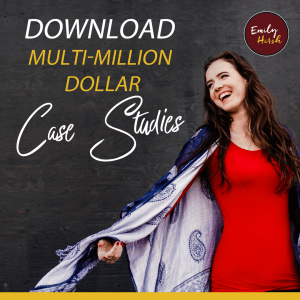 You can use this for anything that you run ads to, whether it’s a PDF download or a video series or a webinar or a case study, or whatever it is, even e-commerce, like how have you positioned your ads in your product? E-commerce, the reason why we don’t work with a ton of e-commerce companies is because … I mean, we work with some, but [00:07:30] they have to have a good ad spend budget. But it’s hard to know if people actually want the product, if you haven’t proven that. Once you’ve proven that, then you know it’s just the messaging. But if you haven’t proven that, it’s hard to know. Some other notes and tips on this that I have on this checklist that I’m giving you guys kind of inside look at is, first of all, try and narrow down a few factors at a time. Instead of going in and saying, “This is not converting. I’m going to change everything about this ad copy,” try narrowing it down. Don’t change five things at once. If you change [00:08:00] the audience and the copy and the headline and the image, it’s like, “Well, what thing worked, and what thing didn’t work?” But if you just start with, let’s say, changing the actual body copy or just changing the image or just changing the headline, and then continually running that to the same audience at least for a day, that way, you’re kind of narrowing down the factors of what is and isn’t working. If you are rewriting copy, I would start with one new version at a time, like with different [00:08:30] messaging. If you’re brainstorming different angles of pain points and emotional connections with your audience, then I would do one version of each so you can see which one sticks. And then if you find an angle that worked, then you can write more copy or headlines or images tailored towards that angle. But you’re going to get frustrated if you do so many different versions, but then you don’t know what angle is working. The other tip is, if you’re making a massive directional change, so if you’re [00:09:00] reworking the offer or totally reworking the messaging, I would just start a new campaign, like start fresh [inaudible 00:09:06] campaign in the Ads Manager, because you basically reset the optimization. Because the theory is, when you have something not converting for a long time in Facebook and you’ve been running ads that are essentially failing for, let’s say, five days or seven days, Facebook sees that. They see that the ad is not getting engagement, and so I really like to refresh with something new if I’m doing a massive directional [00:09:30] change with the offer, the messaging. The final thing that I have on here for my ads manager is most of the time, in my experience, the copy and the messaging is the first place to start, because if an ad is not getting clicks, chances are … I mean, especially with us, we know what audiences convert in all these niches because we have inside scoop knowledge to it, so it’s like if we are putting it to these top audiences in the coaching industry and this is not working, it’s most likely [00:10:00] the copy. It’s the first thing when I personally go into an ad and troubleshoot that I do, is I read the copy as if I’m the ideal client, and I see how I would respond to it and if it would catch my attention, and slowing down and really getting close and thinking about that. I guess I said getting close, but maybe more like stepping back and putting yourself in the shoes of your ideal customer and would you click on this, and starting there, because the messaging, the copy, and the images and [00:10:30] the actual messaging is what people are really … like the biggest thing that you might need to play with and improve and really stand out. It is so important to stand out. The final note on here is if you’re not getting enough traction through your funnel. A lot of times, people will say, “Hey, this is not converting,” or, “We’re not getting any sales.” But it depends on like if you’re just starting out with a very small testing budget and you’re getting like two to three leads [00:11:00] in the funnel a day. Let’s say you’re starting out with a $15 a day budget, but you’re actually paying $5 a webinar lead, which in the business to business space is not terrible, you’re getting three people in a day. That’s going to move pretty slow. What you have to do, is either wait for the data to build up and then you can analyze the sales piece or put a little bit more budget in and see if you can get more people in the door. Because sometimes, people think it’s not [00:11:30] working, when really, it’s that we don’t have enough data or we don’t have enough traction or people in the funnel. So it’s important that you either start higher or you give yourself the time to actually let people go through the funnel. In this case, you would make sure … Let’s say you have that, I don’t know, 15, $20 a day budget. You want pretty much all of your budget in the beginning going to those webinar ads. 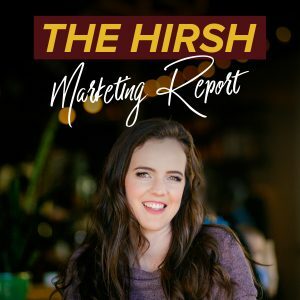 I know I talk about the Hirsh process and retargeting, but you’re not going to have anybody to retarget if you don’t get enough people [00:12:00] in the top of the funnel. At this point, you want everything going to actually getting traffic and traction into your funnel, so you have data to go off of. That really comes down to analyzing the actual funnel itself in sales. The other things I was talking about in this is a lot of like, “What if my ad’s not converting?” But it all ties together. You should be reporting ROI with your ads of essentially, are you making money? But if you’re only getting three people into your webinar a day, it’s going to be pretty hard to know if [00:12:30] it’s working or not. So that is the step by step. It obviously is a process. Sometimes, this takes weeks, sometimes it takes four weeks, sometimes it takes one week, sometimes out the gate it works. We never really know. We have an idea, but like I said, you don’t just put out a campaign or put out ads or put out a funnel and it doesn’t work and then you gave up. You have to analyze these three core pieces of it and see where you need to improve until it works, because it will work, especially if you have good content [00:13:00] and you know you have good content, you know you have a message and things out there that you know can help people. Then it’s just a matter of perfecting that and putting focus into that and not changing too many factors, so where you’re never able to see what is and isn’t working. Hopefully, that was helpful for you guys because this is a big problem and I want people to have more patience and consistency in troubleshooting and getting their ads to work. Of course, if you guys want a done-for-you team to look at your ads and do this [00:13:30] for you, we do this on a daily basis for our clients, is analyzing what can we do better in the campaign, how can we scale and optimize this, go to helpmystrategy.com and book in a call with the Hirsh Team.